Access weather info for up to twelve cities. Is there a better alternative to Beautiful Weather? 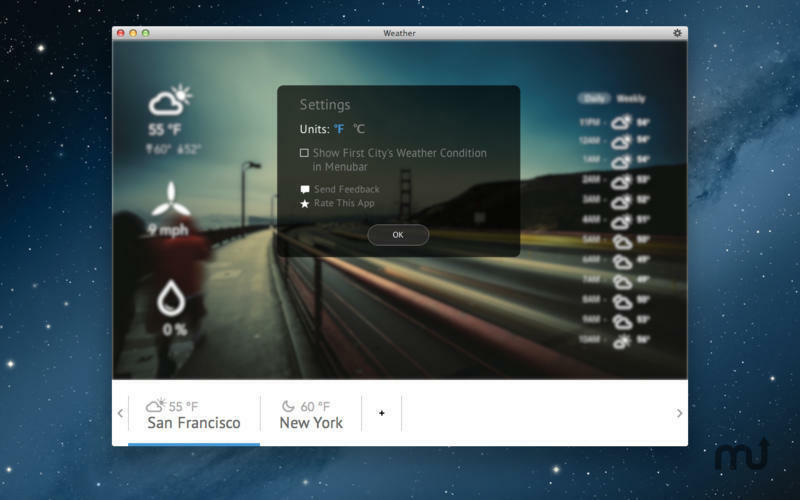 Is Beautiful Weather really the best app in Weather category? 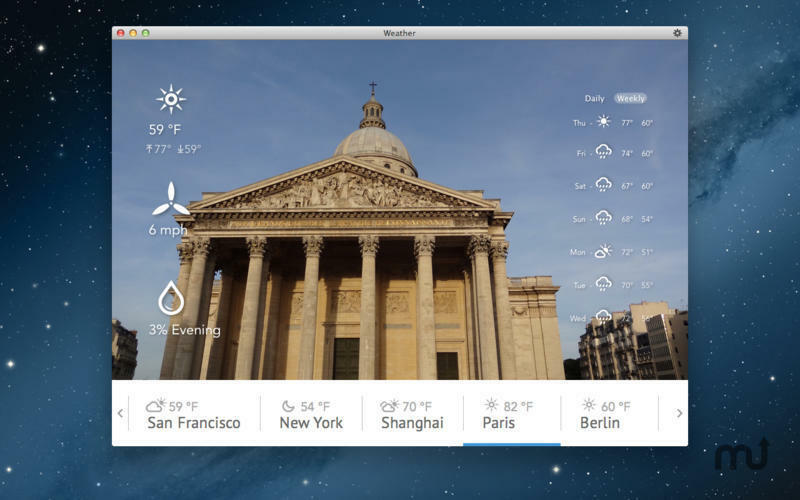 Will Beautiful Weather work good on macOS 10.13.4? Beautiful Weather began as Yahoo! Weather on the iPhone. It was so popular that it's been migrated to your Desktop. 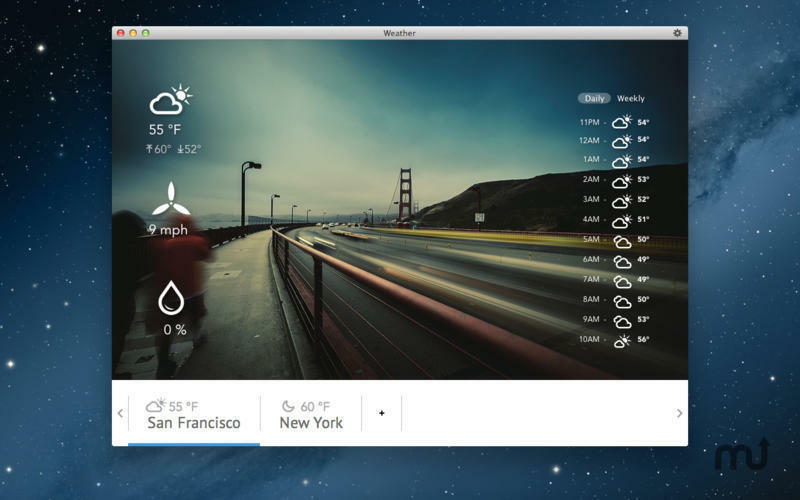 It lets you enjoy gorgeous photos of the cities while you browse the weather information every day. 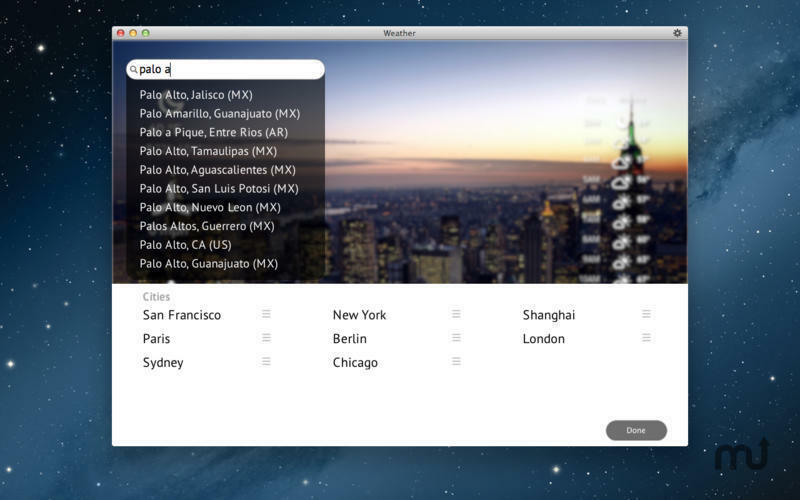 Add up to 12 cities and use two finger swipe to browse through beautiful photos of each city. Beautiful Weather needs a review. Be the first to review this app and get the discussion started! Beautiful Weather needs a rating. Be the first to rate this app and get the discussion started!